Complete Curtain Service For Christmas? The festive season is approaching, we all know that as soon as Halloween is over those Frankenstein masks are replaced with baubles….some organised people have even already started the Christmas shopping! Although it can be annoying when you are having to listen to Slade whilst doing your big shop in early November……… Christmas will very soon be here. So why not get a little bit organised and treat your curtains to a professional service just in time for that pre-decoration house clean? 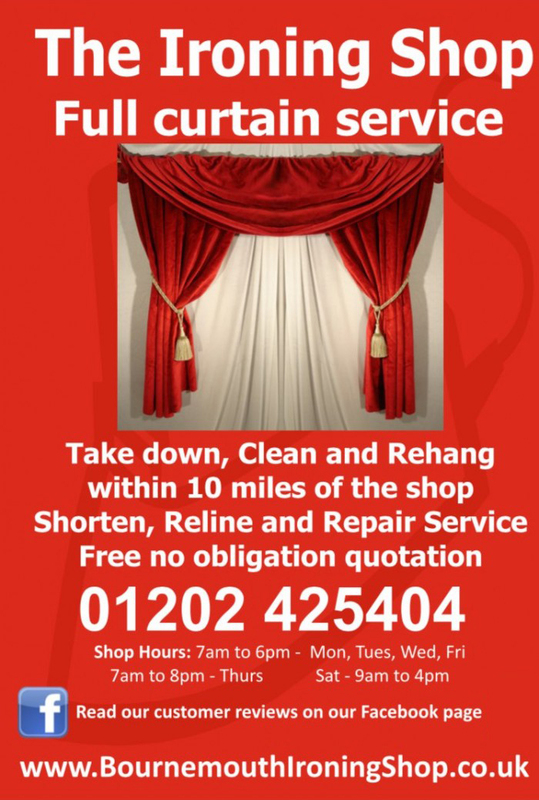 We offer a complete curtain service. We can come to your home, take down, take away to be cleaned and pressed and brought back and re-hung. If you are happy to take them down and rehang them we can offer you a free collection and delivery service. Or simply drop by the shop to drop off and collect when it suits you!